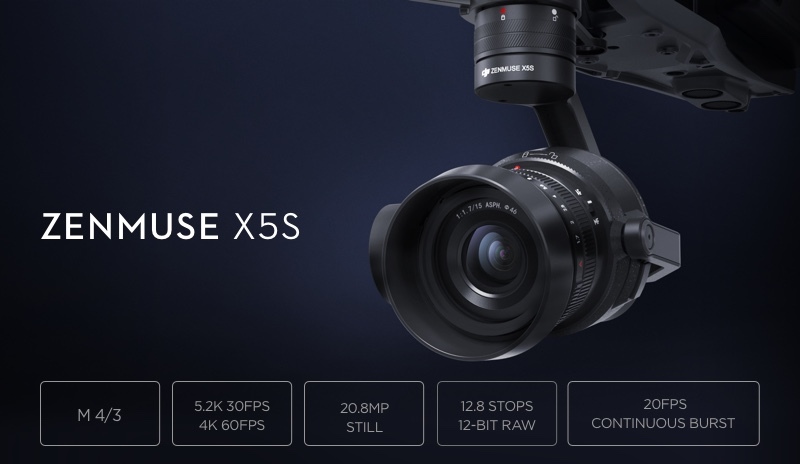 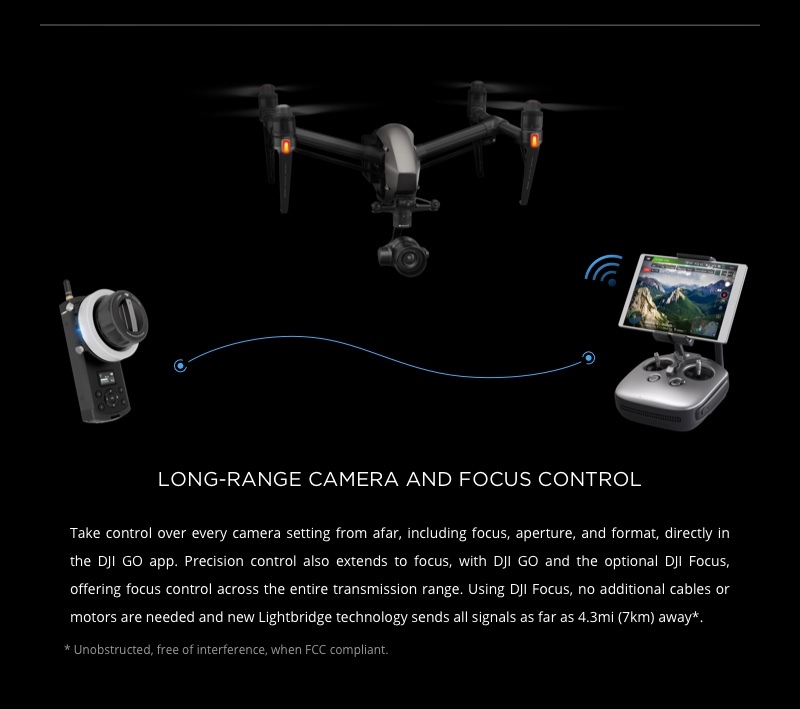 The DJI Zenmuse X5S (Lens Excluded) features a Micro 4/3 sensor capable of 5.2K video with 12.8 stops of dynamic range and 20.8MP still imaging. 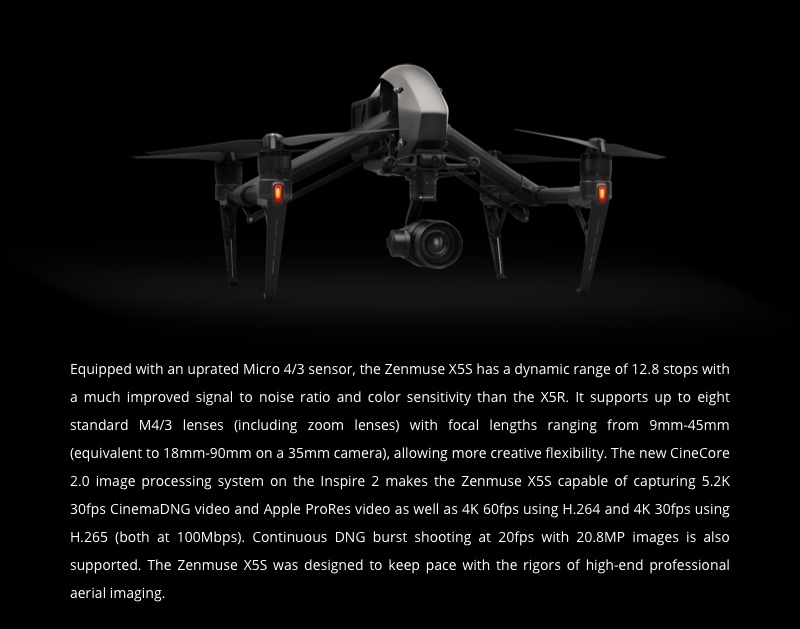 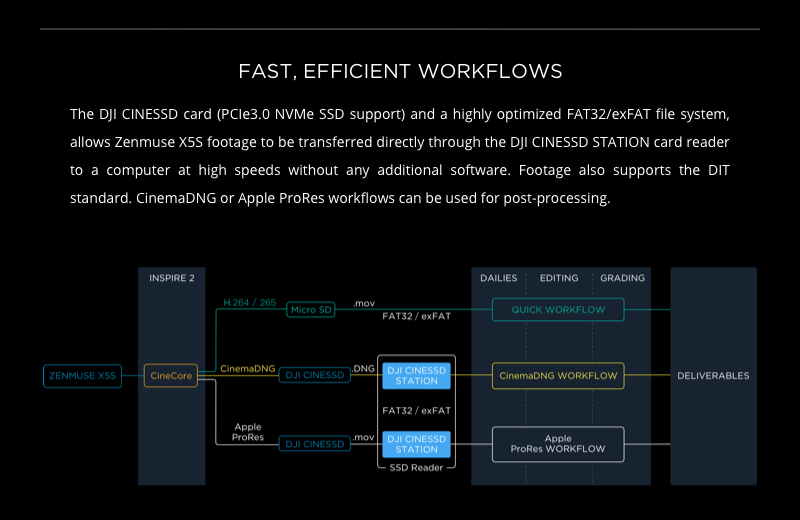 The X5S camera is fully integrated on a Zenmuse gimbal for 3-axis stabilization. 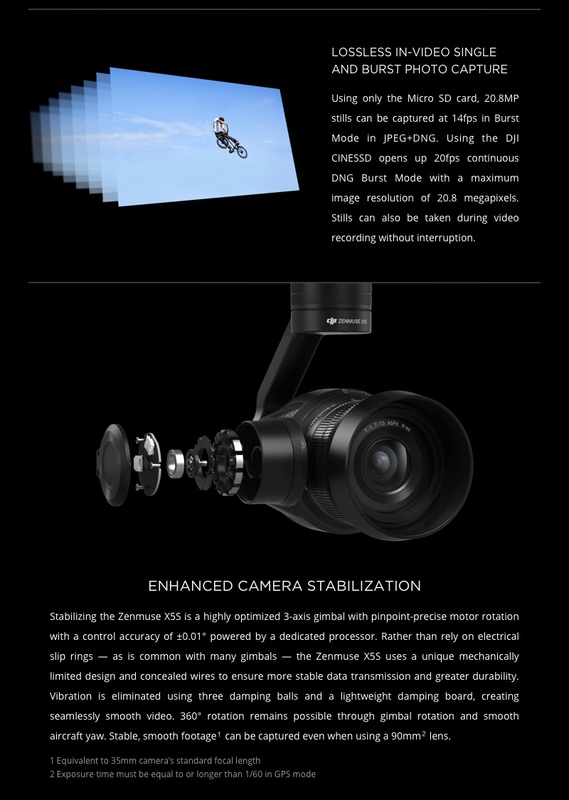 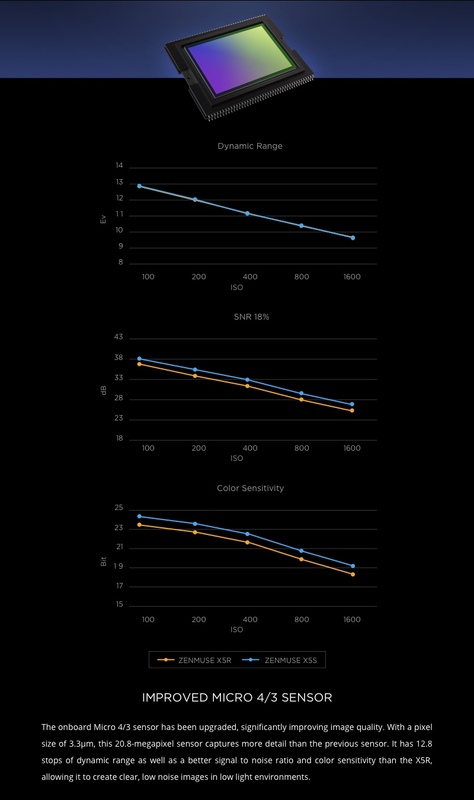 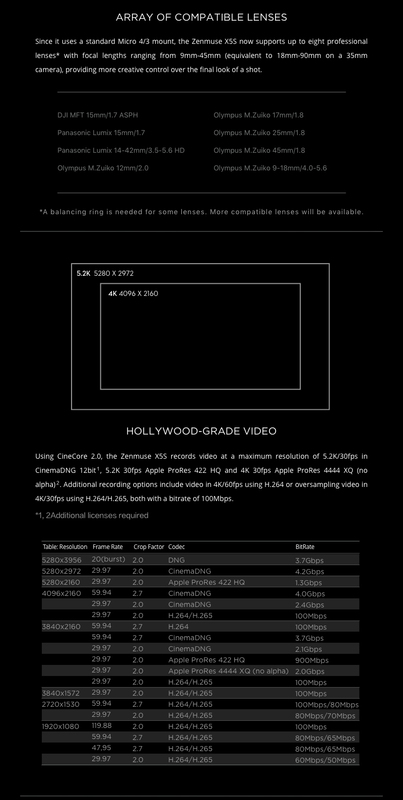 Up to eight additional lenses are compatible with the X5S. 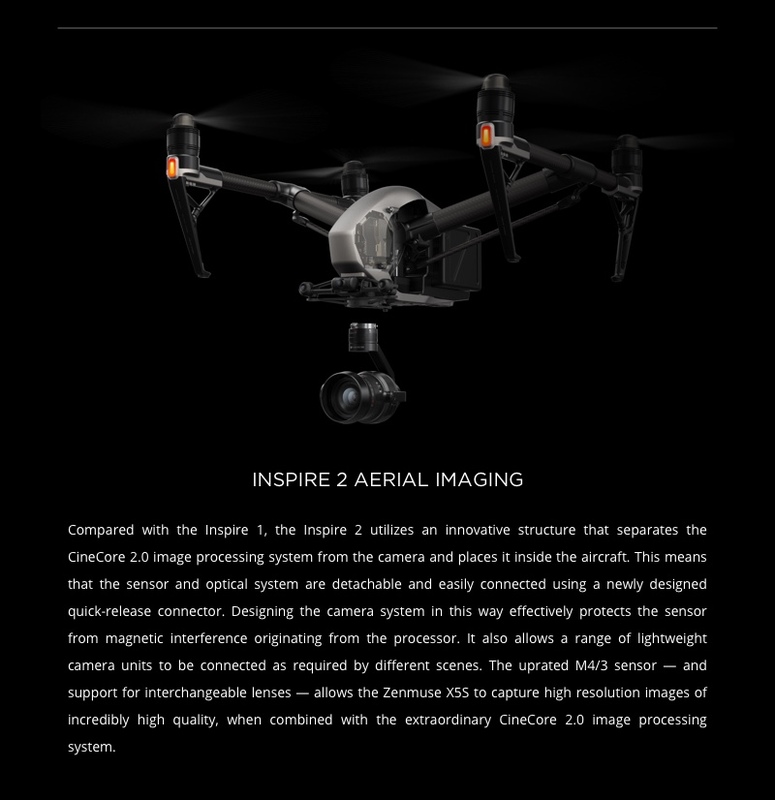 Compatible with the Inspire 2 and Matrice 200 series aircrafts.